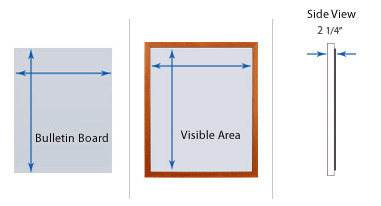 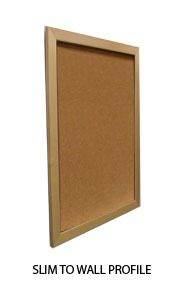 The Wide Wood Bulletin Board Display Frame from Swingframe is an ideal choice if you are looking for a contemporary yet impactful enclosed bulletin board display. 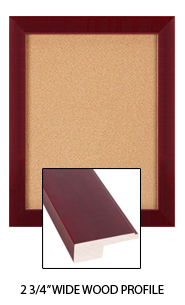 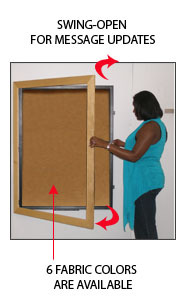 The 2 3/4” flat wood frame style was designed without the decorative matboards shown on our other Designer Wood Bulletin Board SwingFrames. 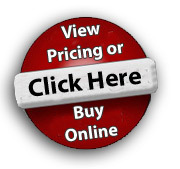 SFWBWIDE-1620 16" x 20" 15 1/2" x 19 1/2" 21" x 25"
SFWBWIDE-1824 18" x 24" 17 1/2" x 23 1/2" 23" x 29"
SFWBWIDE-2024 20" x 24" 19 1/2" x 23 1/2" 25" x 29"
SFWBWIDE-2030 20" x 30" 19 1/2" x 29 1/2" 25" x 35"
SFWBWIDE-2228 22" x 28" 21 1/2" x 27 1/2" 27" x 33"
SFWBWIDE-2424 24" x 24" 23 1/2" x 23 1/2" 29" x 29"
SFWBWIDE-2430 24" x 30" 23 1/2" x 29 1/2" 29" x 35"
SFWBWIDE-2436 24" x 36" 23 1/2" x 35 1/2" 29" x 41"
SFWBWIDE-2448 24" x 48" 23 1/2" x 47 1/2" 29" x 53"
SFWBWIDE-3030 30" x 30" 29 1/2" x 29 1/2" 35" x 35"
SFWBWIDE-3036 30" x 36" 29 1/2" x 35 1/2" 35" x 41"
SFWBWIDE-3244 32" x 44" 31 1/2" x 43 1/2" 37" x 49"
SFWBWIDE-3636 36" x 36" 35 1/2" x 35 1/2" 41" x 41"
SFWBWIDE-3648 36" x 48" 35 1/2" x 47 1/2" 41" x 53"